The 21st CCLC grant provides Mark Twain Elementary the opportunity to operate a Before/After school program during the school year and a six-week summer program. These programs are free to participating students. 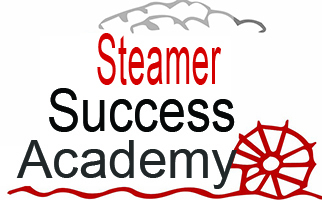 Steamer Success Academy operates for one hour immediately before school(7 - 8 am) and from after school (3:20 - 5:30 pm) five days a week when school is in session. The district dismisses students early on Wednesdays (2:30 pm) each week to allow for staff professional development and the program will operate during that time, too. The summer program provides reading and math academics at the school for 30 days, Monday through Friday from 8:30am-12:30pm (This includes summer breakfast and lunch program). 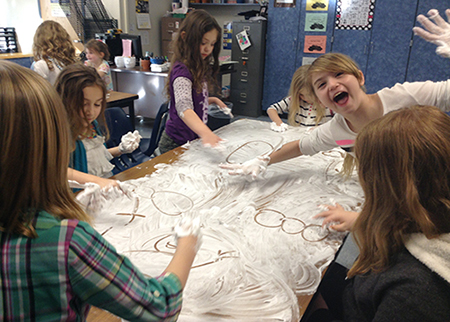 In the afternoons, the program will facilitate children’s participation in an established program either offered by the Bettendorf Parks and Recreation Department or through planned extended enrichment days offered at Mark Twain. In 2015 Mark Twain received a three-year grant allowing the addition of a six-week summer program and a before- and after-school program. The 21st Century Community Learning Center Grant awards federal funds through states for starting model after-school programs in conjunction with community partners. Mark Twain Elementary School’s program provides a 30 day summer program for up to 50 students. The program includes a free breakfast, summer school focusing on math and reading, and lunch at the school. In the afternoon the children will participate in either a Bettendorf Parks and Recreations program in the school’s neighborhood park or planned extended enrichment days offered at Mark Twain. During the school year, Mark Twain provides 36 weeks of before-school programming from 7-8 a.m., and after-school programming from 3:20-5:30 p.m. for up to 75 children. Community Partners allow additional learning opportunities for students as well as quarterly field trips. Parents will also have an opportunity to benefit through quarterly family nights as well as educational opportunities throughout the year. Mark Twain Elementary receives $150, 000 each year for three years.